In August, I wrote a post about common error pages that can be found online. As that post explains, the most common, and problematic, error page is the dreaded 404. Whenever a server spits out a 404 page, it means that the user is trying to access an invalid URL. This might be because they mistyped an address, or it may be because they followed a bad link. Whatever the cause, no site owner wants users to see 404 pages, and minimizing their appearance should be a central goal for any webmaster. In this post, I want to give a quick tutorial on how to identify and fix 404 errors using Google Analytics. With just a few short steps, you should be able to identify how often users are accessing the 404 page, how they arrived there, and how to fix any issues. Before I start, it’s important to keep in mind that you need to have a custom 404 page in place on your site for any of this to work. Equally important, this page needs to have the Google Analytics tracking code properly installed. If these aren’t properly set up, you’ll need to go back and make sure that they are in place before accessing any of this data. To track 404 Pages, you need to know the title of your 404 Page. The easiest way to do this is to type in your domain, followed by a string of gibberish, into your browser. For example, I tried to access digitalthirdcoast.com/whatdoesour404pagelooklike?. But you can type anything you like after your site, as long as it doesn’t refer you to a real page. From there, I took note of the Page Title, which can be found at the top bar of the browser window. For our site, the 404 Page Title is “Page Not Found | Digital Third Coast Internet Marketing”. 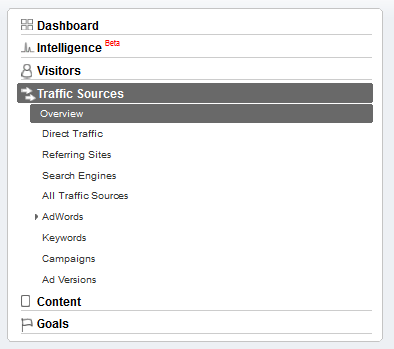 After getting the page title, I went into Google Analytics to set up an Advanced Segment. To do this, I accessed our DTC account, went to the top, and chose ‘Advanced Segments’. After clicking on ‘All Visits’, I was selected ‘Create a new advanced segment’. On that page, it’s a simple issue of creating a segment to match the title of our 404 Page. 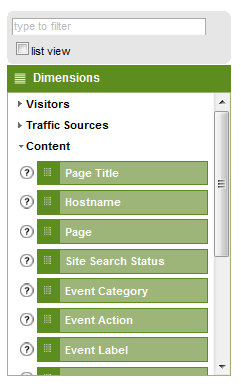 So from the left pane of the Advanced Segments page, I selected ‘Dimensions’ -> ‘Content’ -> ‘Page Title’, and dragged the green rectangle to the blank ‘dimension or metric’ rectangle on the right of the screen. Since our 404 Page Title began with ‘Page Not Found’, I just typed that into the ‘Value’ field. After naming the segment ‘404 Pages’, and using the ‘Test Segment’ link to make sure it was working, I saved the Advanced Segment. Once that segment was set up, I was able to start looking into how often our visitors were seeing our 404 page. The first thing that I wanted to know was simply how often this was occurring. To get that information, I went to the ‘Traffic Sources Overview’ page. If you have seen used this page before, you’ll know that Traffic Sources Overview shows you how people arrived to your site in a variety of ways. Probably the most important single metric is the total number of visitors that landed on the 404 page, which is conveniently written in bold text with a grey background. It’s also important to see how those visitors came to the site, which is shown on the pie chart. Fortunately for us, in the month of October, there were only 12 visitors that saw a 404 page. That constitutes significantly less than 1% of our visitors, so I knew that we didn’t have a major issue with users seeing 404 pages. More importantly, 2/3rds of those visitors either came from direct traffic (which means that they probably misstyped a URL), or from referring sites (visitors who came from links that were over 5 years old). So for the most part, we aren’t losing any potential business due to 404 pages. But what if our site had a much higher percentage of visitors seeing 404 pages? What if it were 1%? Or 5%? Alternatively, what would we need to do if we had tens, hundreds, or even thousands of visitors coming from search engines that ended up on 404 pages? If anything even approaching 1% of search visitors to your site are seeing a 404 page, you need to take immediate action to resolve the situation. Every visit that sees one of those pages represents a potentially lost sale or client. To resolve the problem, your first step should be to select ‘View Full Report’ under the ‘Keywords’ table on the bottom lefthand side of the screen. From there, you can view which pages are directing search engine traffic to the 404 page in two easy steps. First, select the ‘Keyword’ dropdown. Then, select ‘Landing Page’ from the dialog box that pops up. That will bring up a table that shows the actual pages that users are trying to reach. You can go through this list and get a fairly good idea what is happening. For example, if you see a bunch of old URLs for pages that no longer exist, you will instantly be able to know that you need to set up 301 redirects to new pages. Or, if you see a laundry list of existing problems, you’ll be able to know that there’s some problem with your server or CMS, and that 404 pages keep showing up because of a server error. Great post! I’ve been trying to figure out how to see what’s causing all the 404s so this was a huge help! Previous Previous post: How Does Google Analytics Actually Work?